It is effective: Acupuncture and modern medicine, together, have a great potential to support, strengthen, nurture and help a patient regain vital health and well-being. It is commonly used to treat and heal animals, confirming that the healing power of acupuncture is not just a "placebo effect"
Acupuncture has stood the test of time: It originated in China and has been used successfully for over 3000 years. Acupuncture is safe: It is an all-natural, drug free therapy, with few or no side effects, except feelings of relaxation and well-being. All needles are disposable and used only once, in order to prevent infection. 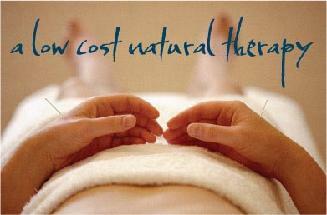 Acupuncture is cost effective: In comparison with many other medical procedures, acupuncture costs relatively little. Furthermore, by getting preventative treatment or treatment when there are early signs of health issues, time and money can be saved by avoiding surgery, costly medications and unnecessary missed days of work.